Tasting Note: This smooth single malt appeals to newcomers and aficionados alike. It has an elegant full taste and aroma that captures fruity floral notes with fascinating overtones of honey, vanilla, spices, toffee and apples. 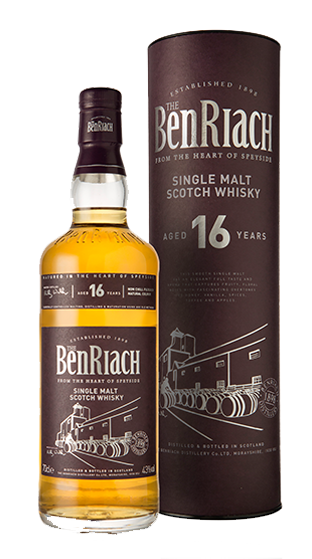 Bottled at 43%abv the 16 YO truly portrays the classic Speyside style of BenRiach whisky.